Paycom is committed not only to creating innovative human capital management technology, but to making a difference in its community. To that end, Paycom raised the bar with its annual gift to The Salvation Army of Central Oklahoma by donating $56,100 on Monday.This year’s total surpassed last year’s gift of $31,937, which helped the nonprofit reach its 2012 kettle campaign goal as part of its continuing efforts to help those in need, both during the holiday season and beyond. Paycom, a leader in payroll and HR services technology, continues its expansion across the U.S. with the opening of its office in Seattle, Wash. Paycom’s Seattle office becomes the fourth location added in 2013 for the Oklahoma City-based company, which recently was named one of the nation’s five best places to work in 2014 by Glassdoor. Less than a week after Paycom landed as the fifth-best place to work in the U.S., the payroll and HR services technology provider was ranked No. 2 on The Oklahoman Top Workplaces. Paycom Named One of the Five Best Places to Work in U.S.
Paycom has teamed with News Channel 4, The Salvation Army and Rotary Club of South Oklahoma City to host HoliDazzle, a free event at Remington Park on Thursday, Dec. 12, to kick-off the annual Warmth 4 Winter coat drive. In the spirit of friendly competition, Paycom took part in Infant Crisis Services’ Bedlam for Babies drive, where Paycom and its employees combined to donate $1,000 in addition to necessities like food, diapers, formula, wipes, toys and clothes. 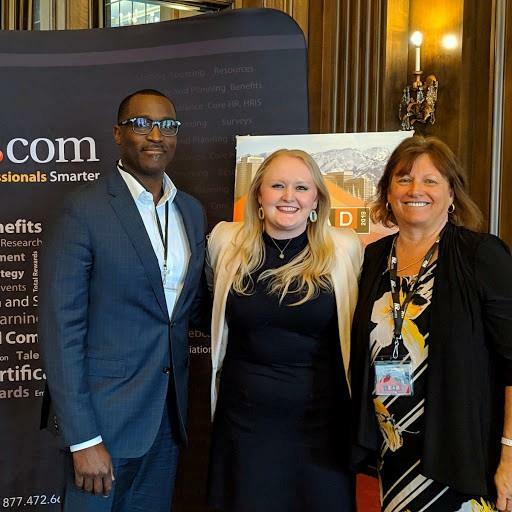 Paycom, a leading provider of human capital management technology, was honored by EPCOR® – Electronic Payments Core of Knowledge – as the David P. DeMarea Payments Innovation Award recipient at the annual EPCOR Payments Conference. Paycom, a provider of payroll and HR services technology, collected its second-consecutive Inc. Hire Power Award Thursday, a distinction bestowed to U.S.-based, private companies that are leading the way in creating American jobs. The Oklahoma City-based company was featured in the Top 100, checking in at No. 33. The ranking recognized Paycom as being among the top job creators in the payroll and human capital management technology industry. Paycom was the only Oklahoma company ranked in the Top 100. Paycom bested its ranking from last year, jumping 49 spots from No. 82. Paycom will host its inaugural UCO Night from 6 to 7 p.m. Tuesday, Oct. 8, at its corporate headquarters located at 7501 Memorial Road in northwest Oklahoma City. Junior and senior-level students at The University of Central Oklahoma – as well as professors – are invited to join Paycom executives and recruiters who will be on-site to offer interview tips, help students strengthen their resumes and teach the importance of self-branding for those entering the job market. Paycom, a national leader in human capital management technology, made the Metro 50 list representing Central Oklahoma’s fastest-growing private companies for a record 11th-consecutive year. Paycom has been on the Metro 50 list for every year of eligibility and is the only company to garner the honor for 11 years. In addition to its No. 24 ranking, Paycom also received one-of-nine inaugural Metro 50 Sustainer Awards bestowed to the longest tenured companies on the list. In celebration of National Payroll Week (NPW), Paycom continued its tradition of embracing a fun work place culture while also giving back to the Oklahoma community. They celebrated this important week in their industry with a week full of employee activities and competitions while also collecting and donating 4,370 canned goods to the Salvation Army of Central Oklahoma. Inc. Magazine ranked Paycom, a provider of human capital management technology, No. 2,347 on its annual Inc. 500|5000, an exclusive ranking of the nation’s fastest-growing private companies. This marks the eighth-consecutive appearance for the Oklahoma-based company, who joins other independent American entrepreneurial companies such as Zappos, Under Armour, Microsoft and Pandora on the 2013 list of best run, most innovative and most inspiring private companies in America. Lauren Toppins, Paycom’s Staff Attorney, was named to okcBIZ’s class of 2013 Forty Under 40, honoring Oklahoma residents based on community involvement, professional achievements and career development. Due to complex reporting requirements, the Obama administration delayed implementation of the Affordable Care Act’s (ACA) shared responsibility requirements, which requires employers with 50 or more full-time equivalent employees to provide adequate and affordable health insurance or pay penalties. The suspension gives businesses more time to implement a benefits administration system capable of mitigating ACA compliance exposure. To help employers across the country make sense of the changes in the ACA regulations, Paycom, a provider of human capital management technology, will host a free webinar – Think Your Business is ACA Compliant? – on Thursday, July 25 at 10 a.m. CDT. Paycom recently released a video that speaks to all restaurant owners struggling with the challenges associated with running a successful business, including HR and payroll tasks required to stay compliant and pay employees. Paycom’s latest video helps restaurant owners see the benefits of outsourcing their human capital management and payroll solution to a proven provider that offers a suite of services in a single application. Paycom obtained its second-consecutive okcBIZ Magazine Best Places to Work accolade, after the Human Capital Management Company checked in at No. 12 in the large company category. The announcement came inside the Skirvin Hilton Hotel at an annual awards dinner on Thursday, June 26. Looming uncertainties with recent health care mandates have left employers across America looking for answers. Paycom, a nationally recognized payroll and human capital management technology company, today announced the launch of an exclusive Affordable Care Act (ACA) Toolkit on paycomonline.com for employers. Packed with ACA information, the website empowers employers who are looking to better understand the impacts of the Affordable Care Act (ACA) provisions, how they can ease their compliance burdens and make strategic business decisions. Paycom, a nationally recognized payroll and human capital management technology company, was given the Christmas Hero Award at The Salvation Army’s Appreciation Luncheon Thursday, May 16 for its $31,937 donation to the organization back on Dec. 21, 2012. Paycom, a nationally recognized payroll and human capital management technology company, continues its expansion across the U.S. with the opening of its office in Detroit, Mich. This marks the third opening of a new location in 2013 for the Oklahoma City-based company that offers cutting-edge HR and payroll technology with customers of all sizes in every industry. Paycom, a nationally recognized payroll and human capital management technology company, continues to expand across the U.S. with the opening of its newest office in San Francisco, Calif. The Oklahoma City-based company offers cutting-edge HR and payroll technology with customers of all sizes in every industry. The Affordable Care Act (ACA) has left employers across America dealing with a murky mix of looming requirements and deadlines that impact businesses’ health benefits, administrative processes, reporting responsibilities, employee staffing and ultimately the bottom line. Today Paycom released an infographic designed to aid businesses looking to navigate the uncharted waters of ACA compliance. In light of disruption brought on by recent winter weather and other devastating events like Hurricane Sandy, Paycom, a national payroll and human capital management technology company, reminds us of the importance of disaster recovery and business continuity planning. Today Paycom released an infographic designed to aid businesses looking for cloud-based solutions to remind them of the mandatory and complex HR record retention requirements that can be affected when selecting new technology.